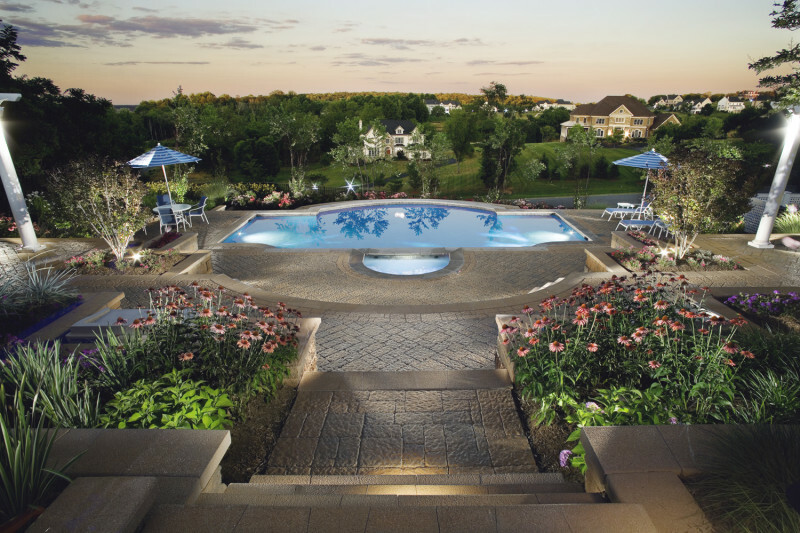 Pool Landscape with Amazing Views in Leesburg VA - Land & Water Design, Inc. 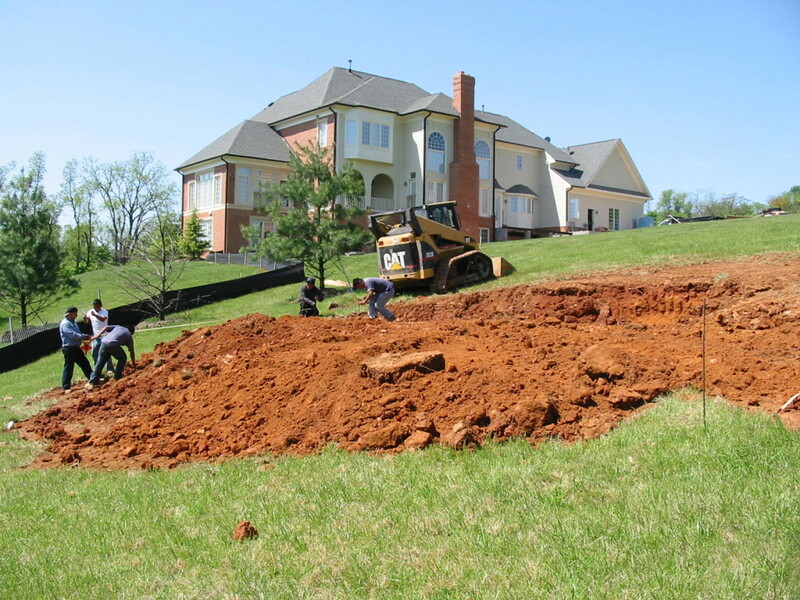 Walking out the back of this stately home in the Beacon Hill neighborhood of Leesburg, Virginia we saw how we could make this a magnificent landscape: make the view the star of the show but also use the best supporting players we could create. The landscape’s greatest asset on this project was the fact that the home sat at the top of the hill with breathtaking views all around. The challenge was how to create cohesive living spaces while tucking a pool into this fabulous slope. A walkway leads from the rear of the home to the pool gate. 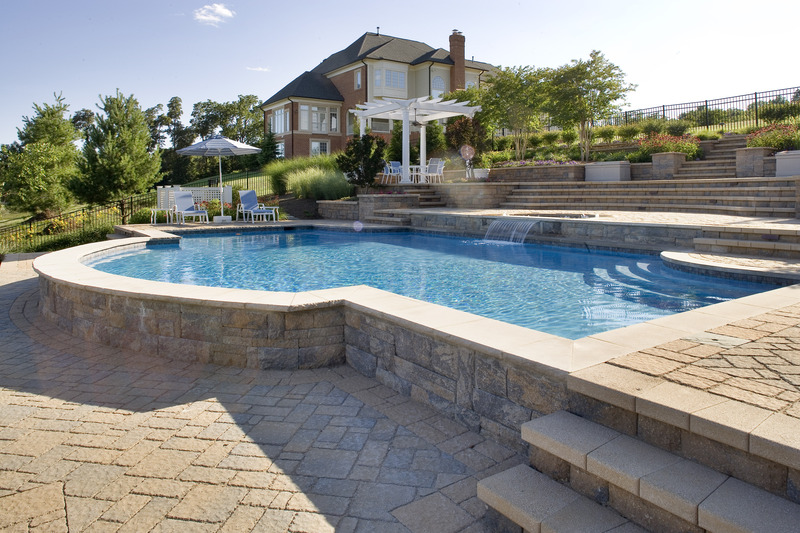 On entering the pool area, a slight turn to the right reveals a spa cascading into the pool, ample Techo-Bloc paver pool decking, and the valley laid out below. 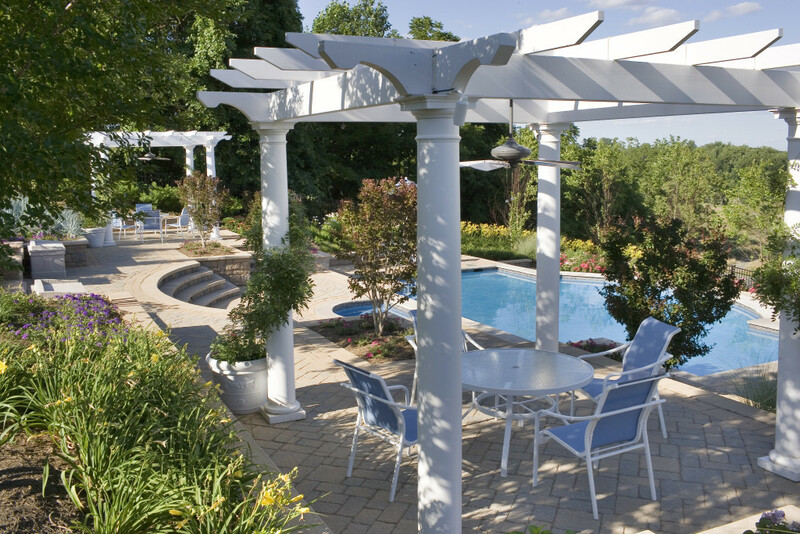 Matching twin pergolas define outdoor seating areas, their symmetry adding to the formality of this Leesburg pool and landscape design. 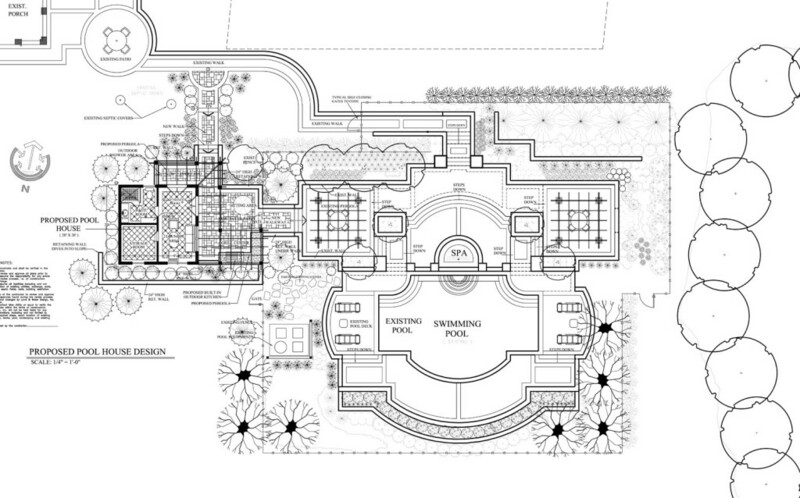 Curved steps lead down to the spa, and mirror images of sunning pads lay to either end of the pool. The patio below the pool is at the perfect height to allow guests to sit on the pool coping and converse with swimmers as they relax. Whether your backyard looks out on expansive views or your neighbor’s fence, we can transform it into a one of a kind destination. Contact us to learn more about how Land & Water Design creates magnificent landscapes.